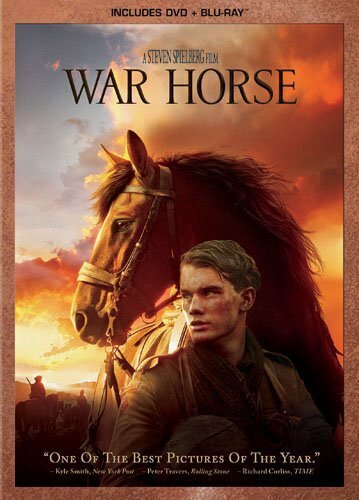 War Horse will be arriving in the usual cornucopia of different formats, both physical and digital. The top-of-the-line option will be the four-disc Blu-ray combo pack, which will list for $45.99 and include all the available bonus features. 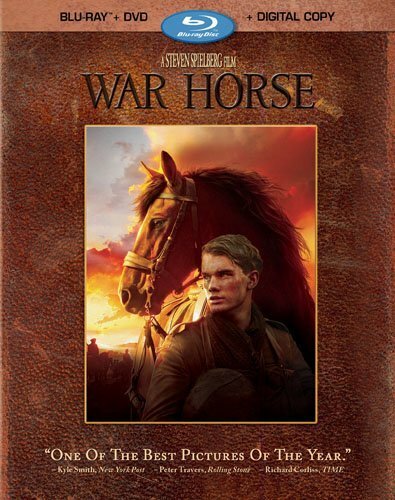 You can also opt for the two-disc DVD ($39.99) or single-disc DVD ($29.99) versions. The press release doesn't specify which bonus features will be included on these, but presumably at least the two-disc version will have some...otherwise, why two discs? 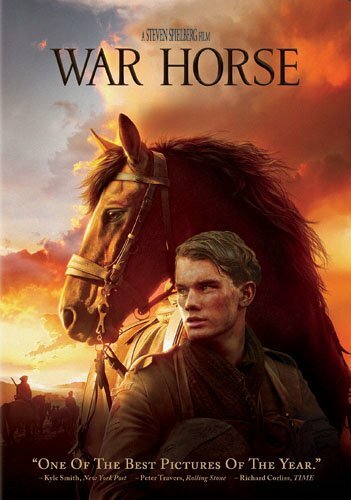 If you're conserving shelf space, you'll also be able to grab a digital copy of War Horse in either high-def ($39.99) or standard-definition ($29.99). And yes, it does seem a little ridiculous that the high-def digital version is only six bucks cheaper than the fancy four-disc combo pack. So what about the bonus features? The keystone is a 60-minute making-of documentary created by Spielberg. You'll also get to check out "a behind the scenes look at Spielberg's Award-Winning 'Dream Team'": a scoring session with composer John Williams, a look at the film's editing with film editor Michael Kahn, a trip inside the sound room with sound designer Gary Rydstrom, and a visit with producer Kathleen Kennedy as she takes you on a tour through photos taken during the filming of War Horse.